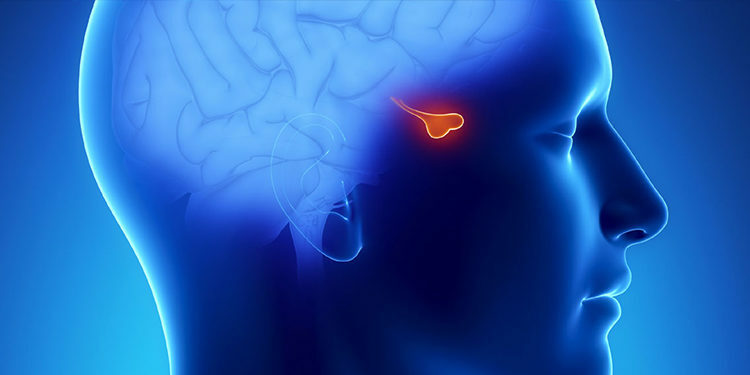 Your pituitary gland is about the size of a pea and is situated in a bony hollow in the base of the brain, just behind the bridge of your nose. It is attached to the base of your brain by a thin stalk. The hypothalamus, which controls the pituitary by sending messages, is situated immediately above the pituitary gland. The pituitary gland is often called the master gland because it controls several other hormone glands in your body, including the thyroid and adrenals, the ovaries and testicles. The hormones of the pituitary gland send signals to other endocrine glands to stimulate or inhibit their own hormone production. The anterior lobe releases hormones upon receiving releasing or inhibiting hormones from the hypothalamus. These hypothalamic hormones tell the anterior lobe whether to release more of a specific hormone or stop production of the hormone. Adrenocorticotropic hormone (ACTH): ACTH stimulates the adrenal glands to produce hormones. Follicle-stimulating hormone (FSH): FSH works with LH to ensure normal functioning of the ovaries and testes. Luteinizing hormone (LH): LH works with FSH to ensure normal functioning of the ovaries and testes. Growth hormone (GH): GH is essential in early years to maintaining a healthy body composition and for growth in children. In adults, it aids healthy bone and muscle mass and affects fat distribution. Prolactin: Prolactin stimulates breast milk production. Thyroid-stimulating hormone (TSH): TSH stimulates the thyroid gland to produce hormones. The posterior lobe contains the ends of nerve cells coming from the hypothalamus. The hypothalamus sends hormones directly to the posterior lobe via these nerves, and then the pituitary gland releases them. Anti-diuretic hormone (ADH): This hormone prompts the kidneys to increase water absorption in the blood. Oxytocin: Oxytocin is involved in a variety of processes, such as contracting the uterus during childbirth and stimulating breast milk production. Pituitary tumors are the most common pituitary disorder, and many adults have them. However, they are not, in the great majority of cases, life threatening. But that doesn’t mean they’re harmless—pituitary tumors can disrupt the gland’s normal ability to release hormones. There are two types of pituitary tumors—secretory and non-secretory. Secretory tumors secrete too much of a hormone, and non-secretory tumors don’t secrete excess hormone. These hormonal imbalances can cause problems in many different areas of the body. If you have a secretory tumor that is overproducing thyroid-stimulating hormone, for instance, you will experience hyperthyroidism. The pituitary gland is immensely important to the overall function of your endocrine system—and to your overall health. By working with the hypothalamus, the pituitary gland ensures that all your body’s internal processes work as they should. If you think you may have a problem with your pituitary gland, you should talk to an endocrinologist. 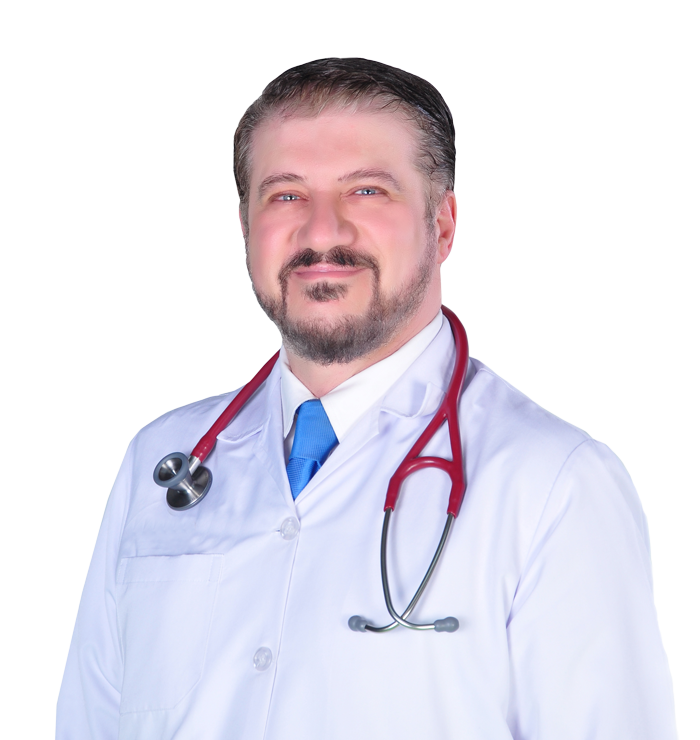 He or she will help diagnose and treat your hormone-related condition.